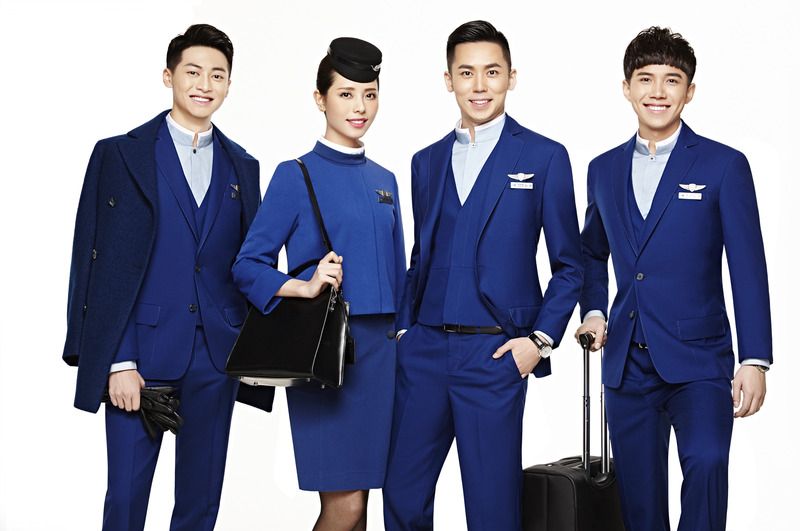 Starting this month passengers on XiamenAir may notice they are being served by cabin crew wearing entirely new threads. The new uniforms for men will join the women’s uniforms that were launched May last year. 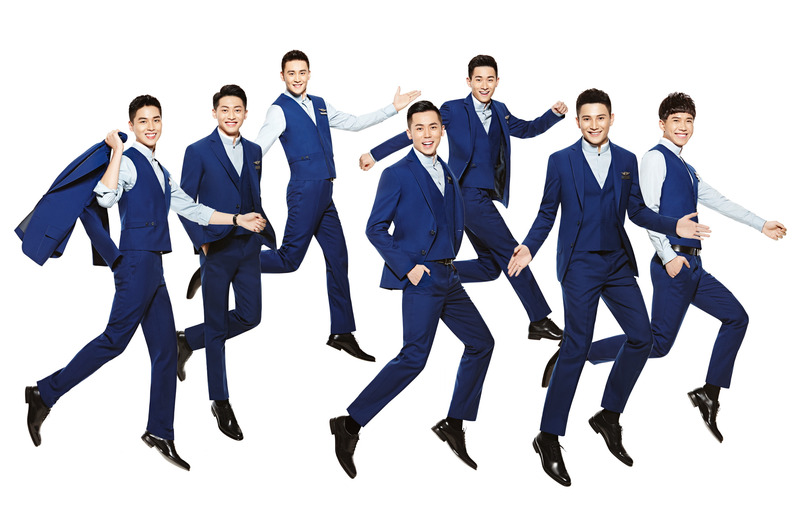 Designed by famous Taiwanese fashion designer Jamei Chen, the new male uniforms for include off tailored silhouettes that hark back to the JetSet era, whilst being fused with contemporary touches such as mandarin collar shirts and stylish black leather gloves. Personally we love the new look as a whole and how both male and female uniforms sit perfectly together. The colour palette used is sharp and modern, with aqua and cobalt blue tones running through the uniforms. “The empire waist design used on dress and waistcoat makes the uniform more classic and gives the wearer a better figure. 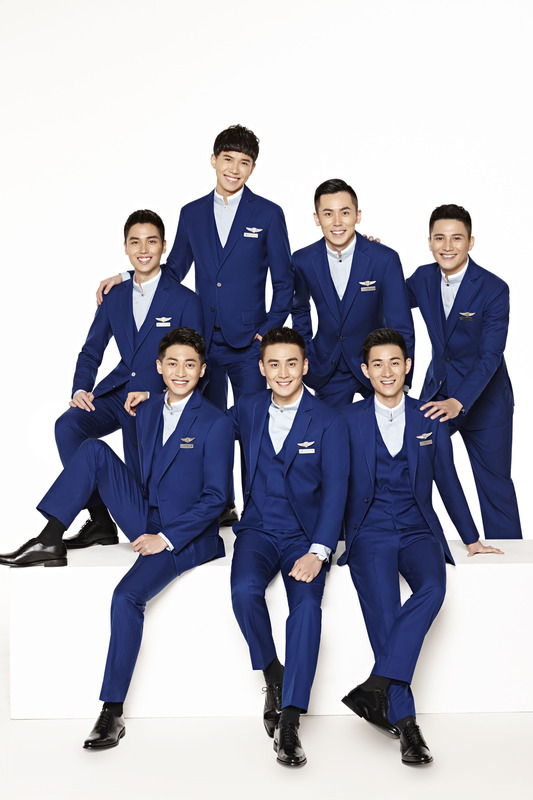 The combination of different blue comes from the brand color which represent the sky and the sea.” State XiamenAir on their new uniform. We also love the touches of black used to complete the outfit. The smart pill box hats, waist bands and gloves on the ladies outfit adds a ‘fashion catwalk’ edge to the uniforms whilst the mens three piece tailored suit feels understated, smart and effortless with the hidden buttons on the waistcoat offering clean sharp lines. 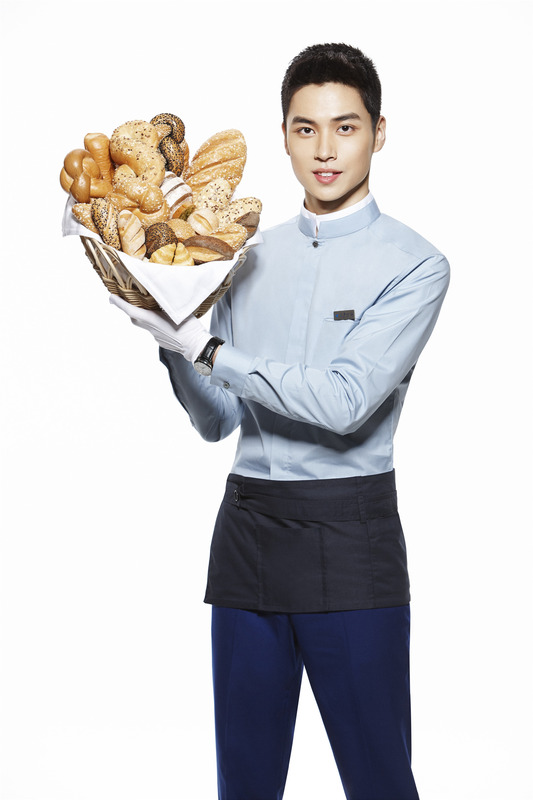 This isn’t the first Asian airline to employ a couture designer to work on their uniform. 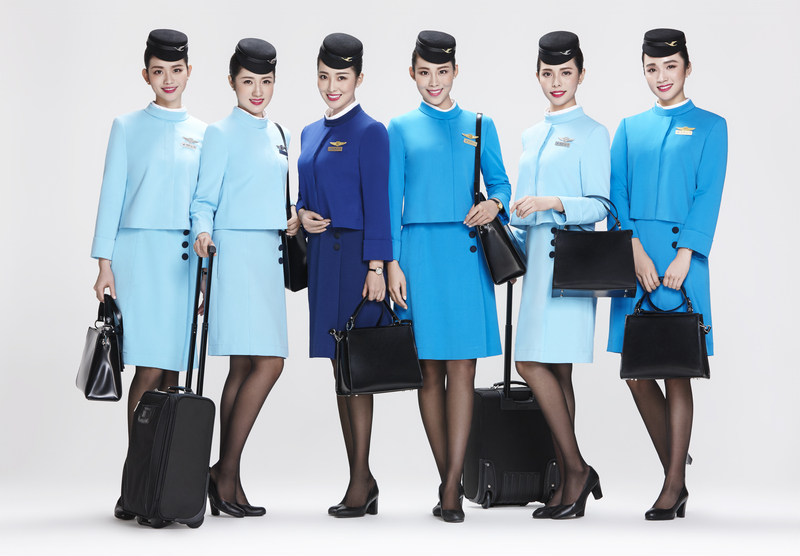 ANA has also had a uniform designed by Prabal Gurung, whilst the Christian Lacroix uniforms for China Eastern and Gianfranco Ferré designed Korean Air uniforms both featured in our Top 10 Uniforms 2015. Very smart! 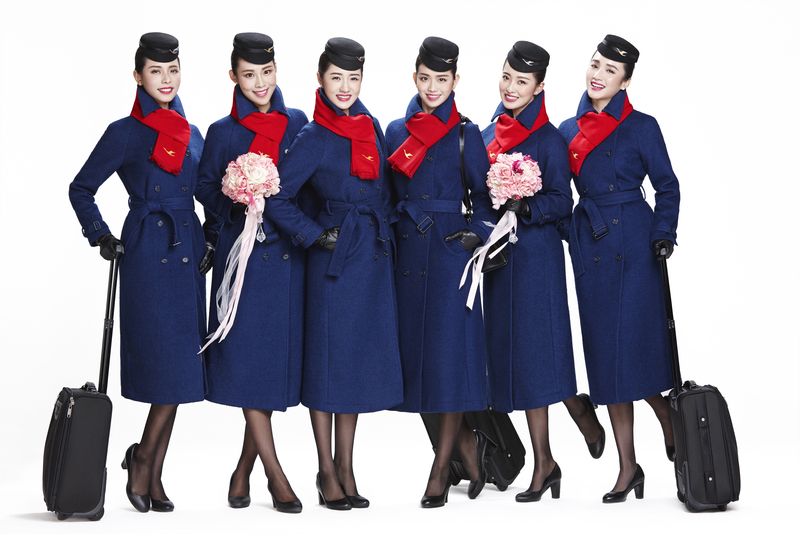 Rather reminiscent of Christian Dior’s 1960’s-era uniform for Air France’s stewardesses. Like hydraulix16aa, I prefer a ‘uniform’ look, rather than the scads of uniform options available to flight attendants working for most U.S. carriers. The mandarin collar on the men’s uniform is novel, and certainly more comfortable than wearing a tie. I used to work New York-Tokyo flights and by the time we landed in Japan I’d have a red, chafed ring around my neck. Not sure how well the mandarin collar works with a western-style vest and jacket, but maybe I just need to get used to it. I’m also not sold on the red winter scarf, since every other uniform piece is blue. But that’s a minor quibble. Overall it’s a terrific look. 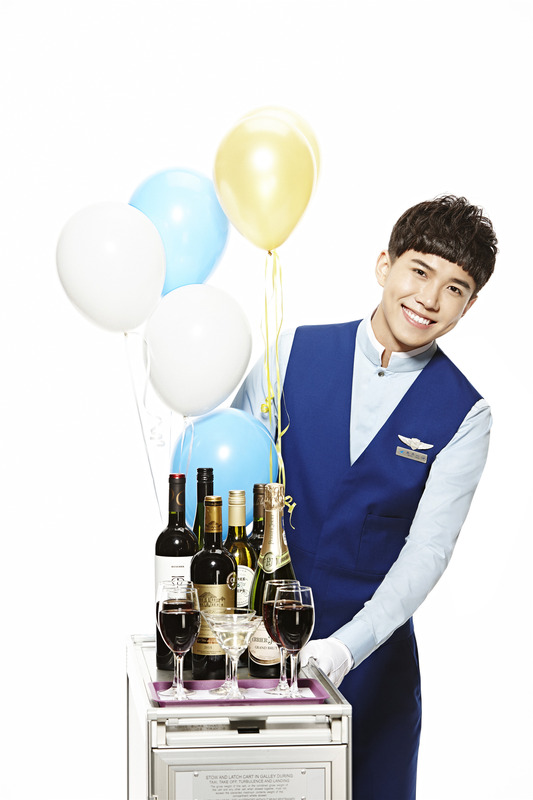 Kudos to Xiamen Air! I’m surprised the most about the nationality of the designer. I would have never thought of a Chinese carrier hiring a Taiwanese designer. Coz Taiwan and Mainland China are holding the same culture background, especially Xiamen, the nearest city to Taiwan island. Happy to see the PRC’s national company forget the political issues in commercial field.